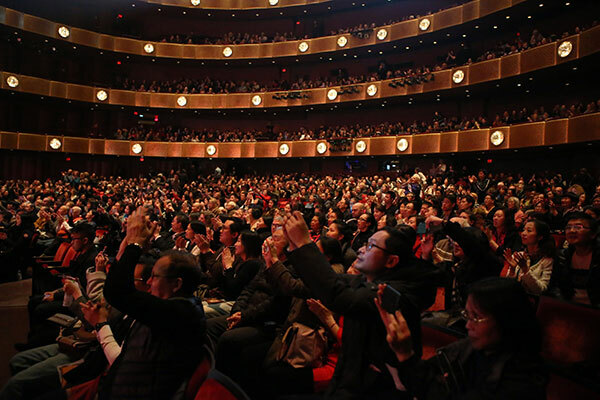 The name Zhaojun in Chinese culture symbolizes goodwill in the bridging of cultures.The dance drama Princess Zhaojun explored that legend as it made its New York debut on Thursday evening at the Lincoln Center's David H. Koch Theater in Manhattan. Performed by the China National Opera & Dance Drama Theater, the epic stage production features more than 50 elite dancers, bringing to life a household heroine story of the ancient princess Zhaojun, one of China's "Four Great Beauties". Princess Wang Zhaojun sacrificed her comfortable palace life and bravely volunteered to marry the leader of the Xiongnu, a powerful tribal nomadic group on the then-border of northern China, in exchange for bilateral relations with the Han Dynasty (206 BC-AD 220). To Zhaojun's surprise, she fell in love with the leader of Xiongnu and did her best to serve as a good queen and help with the two peoples' cultural exchange. Today, the name Zhaojun represents that spirit. 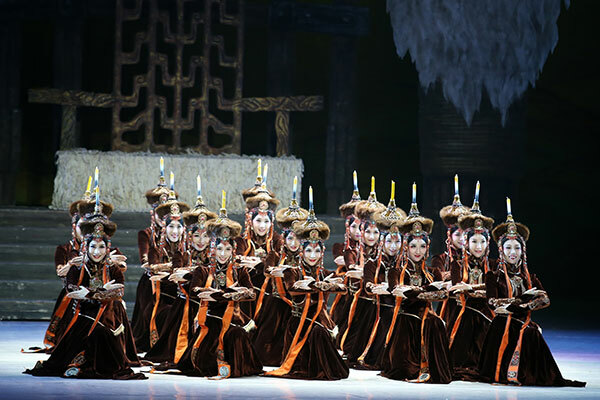 Princess Zhaojun, which features 50 dancers, brings to life a household story in China of Wang Zhaojun, a palace lady-in-waiting living over 2,000 years ago in Han Dynasty. "What Zhaojun did 2000 years ago was a call for peace and cultural exchange, which is especially what we need between the US and China. The people-to-people cultural exchange can help us understand each other better and will engage cooperation on all levels," said Chen Chunmei, chairman of the China Arts and Entertainment Group Ltd. (CAEG), the state-owned cultural enterprise. 2019 marks the 40th anniversary of the establishment of US-China diplomatic relations. Princess Zhaojun is also a story about female power, which modern audiences can relate to, said director and choreographer Kong Dexin, a 77th-generation direct descendant of Confucius. "We are all Zhaojun in some perspective. We all have the moment of traveling far away from home for our personal pursuit of academic and career achievement. It means so much if we can accomplish our mission like Zhaojun did," said Kong. The drama made its world premiere in 2016 and has since toured China. In 2017, it was staged in Mexico as a closing show of the "Year of Chinese Culture" and won wide acclaim. The US debut is part of CAEG's "Image China" cultural exchange initiative. Launched in 2009, the program has presented works across the globe and aims to present traditional Chinese culture and contemporary performing arts to the world. Princess Zhaojun will run in New York from Thursday through Sunday. 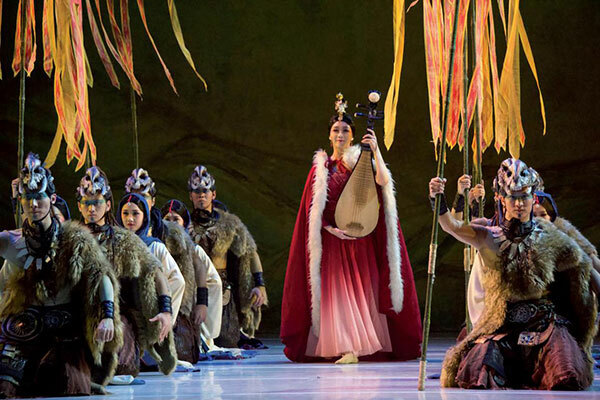 The dance drama Princess Zhaojun made its New York debut at the Lincoln Center's David H. Koch Theater in Manhattan.